Many e-Commerce sites display “Trust Seals”, aka Trust Mark Logos, provided by third parties who have conducted an independent audit of the site or its ownership. The concept did not start with the web era. It is essentially the same as the “Good Housekeeping Seal of Approval”, which attests that a product has been tested by the Good Housekeeping Research Institute. Members of the “Better Business Bureau” display a membership logo at and a BBB rating as a measure of their trustworthiness. For e-Commerce sites, there are several different types of Trust Seals. 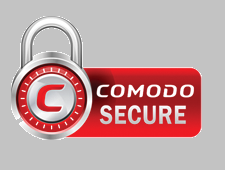 Certificate Authorities who issue SSL certificates, like Comodo, offer Trust Seals that attest that the owner of a domain has been verified to be a legitimate organization. Certificate Authorities themselves have their own Trust Seal from Web Trust that verifies the authority has been audited by an independent accounting firm and is in compliance with the certificate industry best practices. Other Trust Seals attest to a site’s reliability from a security standpoint. Many security firms, including some who are also Certificate Authorities, provide services that test a site for various vulnerabilities. For example, vulnerability scanning can assure that pages are not infected with malware that an unsuspecting victor might download. The services Trust Seal displays only if the site passes the vulnerability test. 79 percent of online shoppers expect to see a trust mark displayed on a Web site’s home page. The majority of shoppers also expect to see trust marks displayed on the page where personal information is entered and where the final transaction is completed. The presence of a trust mark can also persuade them to complete the purchase. Nearly 70 percent of online shoppers have terminated an online order because they did not “trust” the transaction. In those cases, 53 percent indicated that the presence of a seal would have likely prevented the termination. If you are operate an e-Commerce site and want to increase revenue, considering adding a Trust Seal. You can even have multiple trust seals to provide the maximum amount of assurance to your customers.